Transfer of all data from one computer to another. This service is helpful when you’ve gotten a new computer or just have another system and need to move all of your documents, pictures, music, email and other types of data files onto the other system. It does require that there is enough disk space for all data that is transferred. Please note that you can’t move programs in this manner, programs must still be installed as usual so they will work properly within the new system. Similar to the data transfer with the only difference being that we are transferring the information to an external device such as a hard drive or similar media that has enough space to contain all of the data. The data on the drive is a direct file to file copy so it is assessable without special software. The client may provide their own device or Computer Hub can provide one for an additional charge. A drive or partition image backup is a complete backup of all data contained on a hard drive or a partition that resides on the hard drive. A complete image or “picture” of the drive is taken and placed on an external drive which can later be used to completely restore the system to the point in time that the image was made. This process requires specialized software which either the client may provide or Computer Hub can provide for an additional charge. Also required is an external backup drive which can contain the complete image being made. 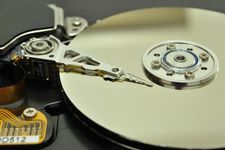 Drive Cloning is used when transferring all of the data on the old hard drive to a completely new hard drive. This is used when the original drive is beginning to fail or is simply starting to run out of space potentially affecting the performance of the system.